M. C. Joonoos & Co., which was established in 1855, launched its company website on Friday at Saf’s Classique on Flower Road. 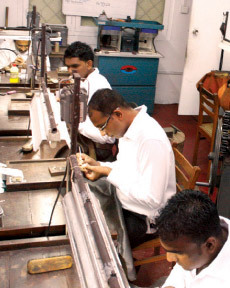 The company dates back five generations and is the oldest and first Jewellery business in Sri Lanka that was founded under the British rule. Members of the Joonoos family attended the initiation and Sasinaz Joonoos launched the site. 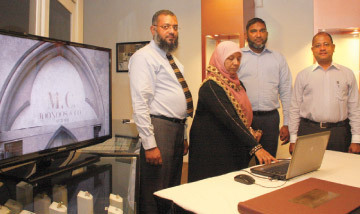 “We dedicate our craftsmanship and respect to every piece of jewellery we produce and we believe in setting passion and uniqueness into our creations, rather than focusing on profit for the company,” Affli Raheem, Director of M. C. Joonoos & Co. said. M. C. Joonoos cater mostly to a foreign clientele, that range to clients in countries such as UK, Japan, China, Singapore etc. with exceptions in Sri Lanka. The current concentration is on breaking a mass of the Sri Lankan market. 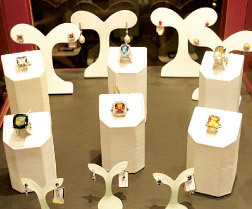 “Most of our gems are sourced locally and I personally handpick every gem that would be merged for a creation and make sure that it is 100% quality and I also try to make sure that every piece of jewellery is perfection before it goes to a client, or before it is even displayed,” Mueen El-Sabri Joonoos, President of M. C. Joonoos & Co. said after the launch. The legacy is being continued by the same Joonoos family and therefore, it is a unique achievement for the company, in today’s day and age. The company specializes in superior crafting of never-to-be-repeated pieces in both, yellow, white gold and platinum, with the use of flawless handpicked diamonds and gem stones, outsourced from mines in Ratnapura and Kahawatte.